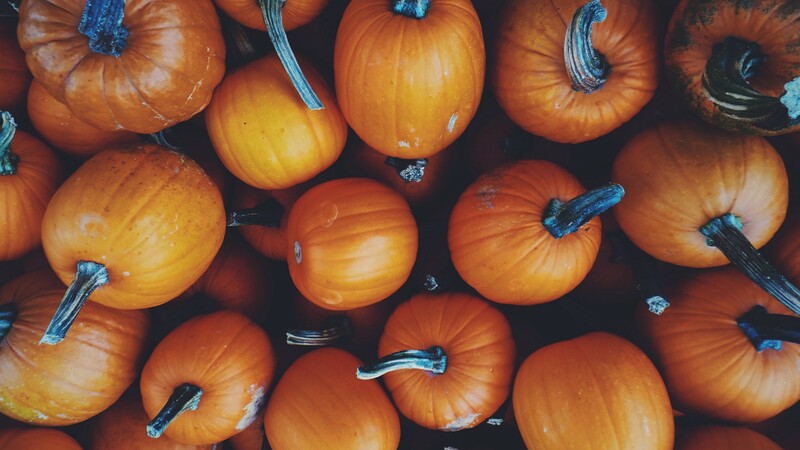 Can your supply chain handle pumpkin spice mania? The leaves are starting to change color. The air is beginning to bite. In America, that can only mean one thing: It’s pumpkin spice season. Each September, the annual arrival of the pumpkin spice latte at Starbucks coffeehouses trumpets the beginning of the fall flavor period in the United States. Demand for the ingredients that make the beverage — and other pumpkin-flavored products — irresistible also affects the supply chain. Pumpkin spice lattes are hot sellers. Since Starbucks introduced the “PSL” in 2003, the company has sold more than 350 million cups worldwide , making it the company’s most popular seasonal beverage of all time . Since 2015, the chain, like other big chains, has made the drink with real pumpkin puree . The desire for millions of seasonal lattes means the world needs a whole lot of pumpkin — and the coffee industry isn’t the only one clamoring for the orange fruit in the lead-up to fall . According to Nielsen, the total sales of pumpkin-flavored food, personal goods and household goods in supermarkets and convenience stores across the U.S. increased almost 80 percent between 2011 and 2015 . Sales of those items totaled more than $360 million in 2015. In the last few years, as pumpkin spice mania has touched almost every product imaginable, Forbes reports, pumpkin production in the U.S. grew from 1.21 billion pounds in 2012 to 1.31 billion pounds in 2014 . Ninety percent of that supply comes from just one place: Illinois. Morton, Illinois is home to the world’s biggest pumpkin canning factory, which produces a special variety of pumpkins that are ideal for puree . The factory accounts for 80 percent  of the canned pumpkin market in the United States, and it typically takes nearly three months of 24-hour production shifts  to meet consumer demand. But in 2015, Mother Nature changed the equation. After heavy rains hit Illinois in June, the Morton factory’s crop yield fell by half . As a result, that year’s pumpkin harvest in the U.S was the smallest reported since the U.S. Department of Agriculture began tracking the sector in 2000, according to Fortune . The puree shortage sent ripples through the supply chain. Brewers were among those who felt the impact. According to Danelle Kosmal, vice president of Nielsen’s Beverage Alcohol Practice, pumpkin-flavored beers constitute about 10 percent of craft beer sales during the fall (11). As a result, getting the right amount of puree at the right time has become a business imperative for the beer industry. According to CNBC, brewers can’t wait until later in the year for a new crop of pumpkin because demand for pumpkin beer declines substantially after Halloween . The pumpkin shortage didn’t impact the 2015 fall brewing season, according to Draft Magazine . But the fear of another shortage in 2016 motivated many brewers to get their puree orders in much earlier than usual. That left many suppliers without puree for those who were trying to find it later in the summer. “We did end up finding a supplier, but not until after a few years were dropped from my lifespan trying to figure things out,” said brewer Paul Kavulak, whose pumpkin beer is his company’s largest seasonal release of the year. Weather that directly impacts one industry can send a ripple effect down through the supply chain, impacting other industries along the way. Pumpkin spice mania is a uniquely American phenomenon, according to the Associated Press, but every country produces seasonal products . The limited consumption period of those products is bound to create special pressures on the supply chain. Companies hoping to meet those challenges head-on are increasingly harnessing weather, social media and event insights to improve demand forecasting and order fulfillment. With accurate, real-time insights, businesses can transform their supply chain to better ensure the right amount of product is available at the right place and the right time. That means more pumpkin-flavored products ready to meet the mania, and a better autumn for businesses and customers alike. Learn more about IBM’s supply chain solutions and see how the ripple effect impacts your business.